Self-limiting beliefs are any thoughts that limit your potential or tell you that something is not possible. For example, any time you say “I can’t”, you shut down your potential to the possibility that maybe you CAN do that. Think of limiting beliefs as mental roadblocks that keep us physically, mentally, emotionally and spiritually stuck. Continue reading to learn more about essential oils for overcoming self limiting beliefs. If you are running into obstacles in your healing journey, you might benefit from exploring your self-limiting beliefs. Limiting beliefs can hold you back from pursuing your dreams or from living up to your full potential. They may inhibit your ability to achieve your goals, including goals for improving your health, and may even contribute to self-sabotage when you do start to achieve those goals. For example, you often get what you expect, and if deep down inside you’re expecting to fail in your health journey (perhaps because you believe you have a genetic disposition to a certain ailment), your career or your relationships, you may not even try, or worse, may start to undermine yourself when you do experience success. When we believe a positive outcome isn’t possible, we don’t even try to achieve it. This can trigger a downward spiral. Self-limiting beliefs can leave us feeling blocked, which can undermine your confidence to take the much-needed steps to move forward on your journey, contributing to further resistance and blocks. I do believe there is no cage as strong as the ones you erect around yourself. Self-limiting beliefs can relate to yourself and your potential, your relationships your health or your academic or career success. They can actually keep events, possibilities, and options outside your limiting beliefs from entering our awareness and even help us attract experiences that validate our limiting beliefs. Perfectionism. When you believe you have to get everything right and perform perfectly, or that you have to do everything yourself. Poor Boundaries. When you feel a duty to make others happy or to perform certain roles for others. You may feel that you have to subvert your own needs to make others happy. Control. When you chase after impossible levels of control in your life and believe your life will only be better when you achieve them. Judgement. When your beliefs about other people limit your relationships. For example, you may make assumptions about what others are thinking and respond based on those assumptions. Sadly, these assumptions are often wrong, like if you believe that someone does not like you when they actually have no particular opinion or even think you are nice. Define your potential, like how we define ourselves by what you do or do not do or do or what you deserve or do not deserve. For example, feeling “I’m not good enough” which in turn might limit what you expect or seek. Define your ability, by declaring what we can and cannot do. For example, if you decide you can’t do something, you may choose to believe that your abilities are fixed and that you cannot enhance or alter that ability. Defining your values, the laws and other rules that constrain what you must and must not do based on your culture, religion or upbringing. Essential oils can play a powerful role in breaking down layers of emotional scar tissue to really get to the root of your self-limiting beliefs that are holding you back. 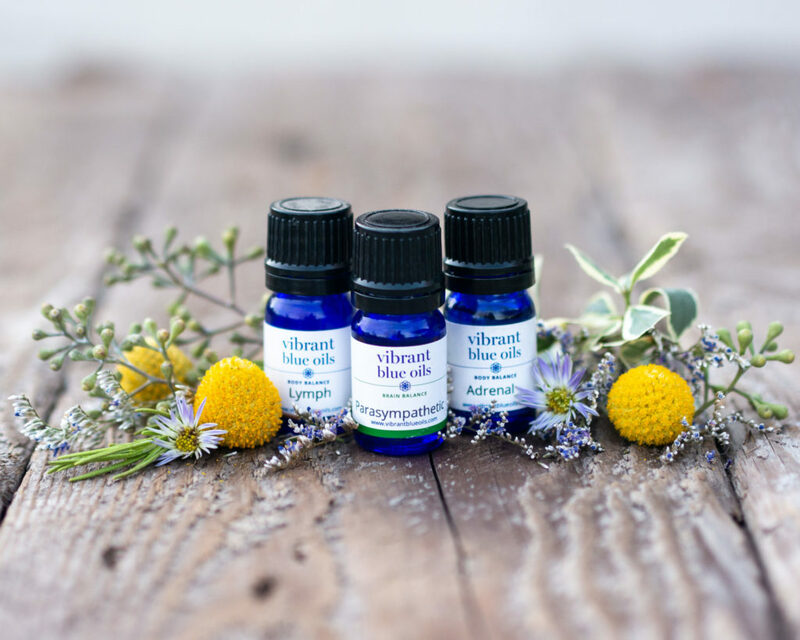 Essential oils are uniquely beneficial in helping to release limiting thoughts and emotions as the sense of smell links directly to the limbic lobe of the brain which stores and releases emotional trauma. Smell has a direct route to the limbic system and often can mobilize and release long forgotten memories, emotions and self-limiting beliefs that can date back to childhood. Read More about Releasing Emotions with Essential Oils HERE. Combining positive affirmations and essential oils can help shift limiting self beliefs. When using affirmations, it is important that you allow yourself to experience the positive thoughts and feelings that are triggered by the words of the affirmation. These thoughts and feelings help us to believe our affirmations, and enhance their ability to work. Essential oil blends also enhance prayer and affirmations. This is why the blend of Frankincense and Myrrh is so well know. Combining this blend with intention can lead to powerful shifts. You can add in tapping points (MORE HERE and HERE) 5-7 times (about the length of time it takes for one full breath) while stating the release statement. Take a breath to feel into your body. If you sense that more of the self-limiting belief needs to be released, repeat the sequence. After you clear self-limiting beliefs, it helps to visualize your success. For example, you can change “I can’t” to “I can” or “I want to” which allows for hope and allows you to embrace what might be possible. Try not to question or judge yourself. Simply allow your mind to open to the possibility of different outcomes. Take a moment to feel gratitude to yourself and the process. You are welcome combine these two steps together to save time. On an intuitive level, it makes more sense to me to clear out the negative before layering in the positive, but I invite you to follow your own intuition on what approach is best for you. The Parasympathetic state allows us to think rationally and process through self- limiting beliefs. When you apply Parasympathetic™ over the vagus nerve (behind the earlobe on the mastoid bone), it helps to calm your “fight or flight” reflex and help balance your nervous system. The Lime oil in the Parasympathetic™ blend can also help promote emotional grounding, encouraging a balance between the heart and mind, which is an ideal state in which to release self-limiting beliefs. Liver Support™ allows us to release self-limiting beliefs and the anger and suppressed negative memories that lock those beliefs in place on a deep cellular level. Just place the bottle under your nose and breathe deeply, fully inhaling the oil for 3 – 7 breaths. It helps you breathe into and work through the self-limiting belief. You can also apply it around the ankles as this is often an area where we hold resistance to moving forward in life and block the ability to receive joy and pleasure. Start at the back of the ankle and apply under the ankle bone around to the front and back under the other ankle bone, all while allowing yourself to release your self-limiting beliefs. Small Intestine Support™ helps support positive boundaries and confidence to assist in bringing a sense of peace to our lives. Self-limiting beliefs may impact your boundaries with others. For example, if you feel like you need to subvert your own needs to make others happy or perform certain roles for others, your boundaries get compromised. The small intestine plays a critical role absorbing and assimilating nutrients while preventing harmful pathogens and toxins from entering the body. On an emotional level, the small intestine plays a similarly discerning role, helping to maintain healthy boundaries. It is also an area where we can hold deep self-limiting beliefs fueled by feelings of lack of self-worth, low self‐esteem, loneliness, neglect and anxieties about survival and success. Small Intestine Support™ can be smelled or applied around the ears. You can start on the bottom of the ear at the earlobes and gentle massage upward along the exterior of the ear, hitting many of the major reflexology points. This article and chart show specific points on the ears for specific issues. Surrendering goes hand in hand with grounding. Large Intestine Support™ helps you release past hurts and self-limiting beliefs so that we can move through transitions or changes in life course. Large Intestine Support™ contains grounding oils like Cedarwood, Cypress, Sandalwood, and Myrrh. Cedarwood helps address feelings of disconnection and loneliness and inspires our sense of belonging. Sandalwood also helps us ground and calm agitated emotional states. To help surrender and release self-limiting beliefs, apply Large Intestine Support™ on the bottom of the feet or over the large intestine. Lung Support™ allows for the gentle release of emotional grief that so often accompanies growth. In order to grow, we have to leave behind self-limiting beliefs and old behavior patterns. There is often a deep sense of loss and grief associated with the process of letting go. Lung Support™ helps you release the grief so often attached to negative experiences. You can inhale the oil the oil through the nose, letting the oxygen flow deeply into the lungs, then exhale or apply directly over the lungs. Self-limiting beliefs can trigger a fear response which is emotionally linked to the kidneys. Your kidneys control the volume, composition and pressure of fluids in all the cells. Water is symbolic of the unconscious, our emotion and of that which we do not understand and that which we fear. To help release the fear so that you can release self-limiting beliefs, smell or apply Kidney Support™ over the kidneys (one inch up and out from belly button), back of neck, or around the outside of earlobes.